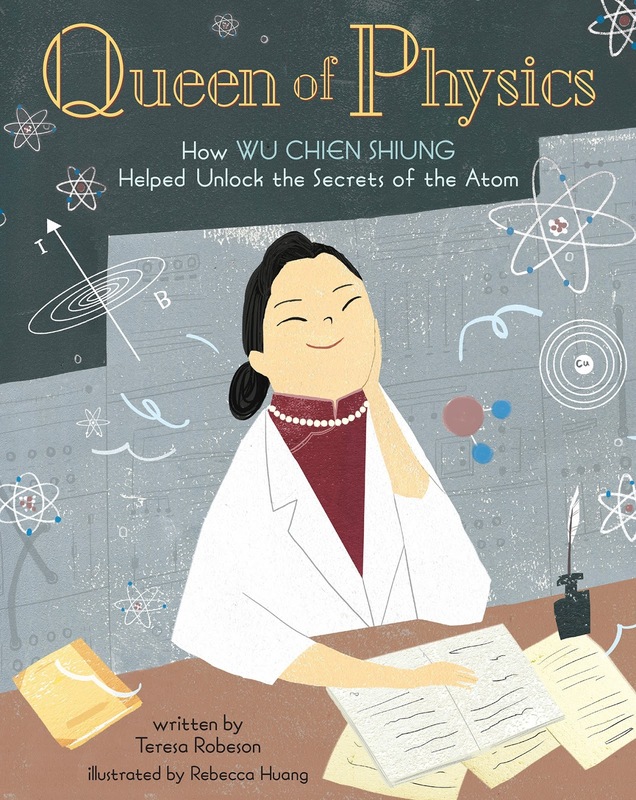 We are thrilled to reveal the cover of Teresa Robeson's debut picture book, QUEEN OF PHYSICS: HOW WU CHIEN SHIUNG HELPED UNLOCK THE SECRETS OF THE ATOM, illustrated by Rebecca Huang (Sterling Children's Books) coming out on Sept. 17, 2019! Isn't it so cool? We love it. 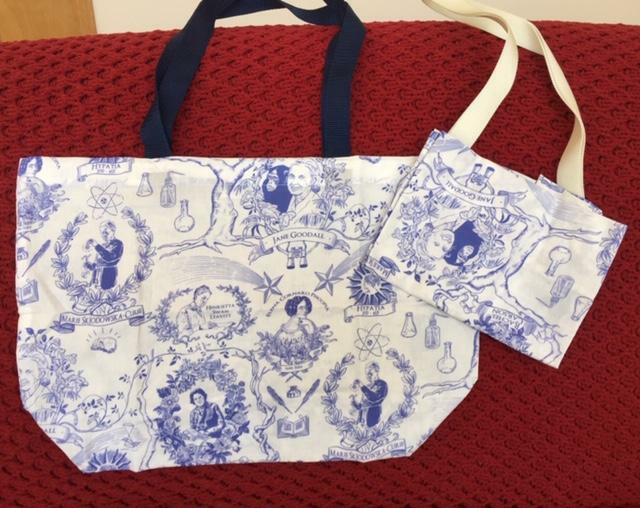 Fabric designed by Vincent Desjardins and the bags handmade by Bower Fibre Goods. Meet Wu Chien Shiung, famous physicist who overcame prejudice to prove that she could be anything she wanted. When Wu Chien Shiung was born in China 100 years ago, girls did not attend school; no one considered them as smart as boys. But her parents felt differently. Naming their daughter “Courageous Hero,” they encouraged her love of learning and science. This engaging biography follows Wu Chien Shiung as she battles sexism and racism to become what Newsweek magazine called the “Queen of Physics” for her work on how atoms split. Along the way, she earned the admiration of famous scientists like Enrico Fermi and Robert Oppenheimer and became the first woman hired as an instructor by Princeton University, the first woman elected President of the American Physical Society, the first scientist to have an asteroid named after her when she was still alive, and many other honors. Teresa 何 Robeson was born in Hong Kong, raised in Canada, and now writes and creates from her mini-homestead in southern Indiana where she lives with her scientist husband. A nonfiction winner of the We Need Diverse Books Mentorship Program, Teresa advocates for greater scientific and cultural literacy. Visit her online at teresarobeson.com and on Twitter @TeresaRobeson. You can pre-order QUEEN OF PHYSICS at Indiebound, Amazon, Barnes & Noble, Book Depository, and everywhere books are sold. This looks amazing! Congrats, Teresa! Congratulations, Teresa! Great cover! Can't wait to read your book! This looks like an inspiring book. Congratulations, Teresa. Thanks for the great giveaway. Thank you, June, and good luck!! I just added this book to my "to read" list on Goodreads. Can't wait to read it. Thanks so much for adding it to your Goodreads list, Jennifer!! This sounds like a fascinating book. Thanks for bringing it to our attention. Thank you, Michelle!! You are a dear! OH Teresa, I love it!!! I'm so excited to see this cover! Ordering it from my fav (local) indie. Thank you, Sherry!! I hope they will be inspired by it! Congratulations, Teresa! I can’t wait to read it! My homeschooling co-op group ("Hidden Heroes of Science") studied Wu Chien Shiung earlier this year! So excited to see this book coming out. I can't wait for the is book to be published! Congrats Teresa! Can’t wait until September for this one Teresa!! Congratulations! Thank you, Angie!!! 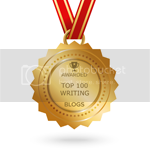 What a year it's going to be...for me, for us, for IN-SCBWI! Oh, Teresa! This looks fantastic! I am so excited for you and can’t wait to get a copy! That's so sweet of you; thank you, Randi!! Congrats Teresa! I especially love anything STEM related!! Thank you, Lydia!! I'm so glad you like STEM stuff, too! Cannot WAIT for this book! Congratulations, Teresa!! What an interesting subject for grownups and kids. Thank you for writing this book. Thank you, Pam!! I hope you'll like it. Omg yay yay yay! It's amazing!! Awww, thank you!! I'm blushing! So so exciting! Can't wait to read it! Congrats, Teresa! Yay! Love the cover, Teresa! I am so looking forward to reading it! This is terrific. Your book rocks! She sounds pretty incredible! This is quite a neat book! She really was amazing; thank you, John!! How wonderful you can share her story! So happy for you! I admire women in science and math and this is a scientist I haven't heard of before. This book will be fun to read while learning new things for all readers. I hope you will like it; thank you, Danielle!! This book looks fantastic! Congrats, Teresa!! I can't wait to read it. This looks terrific, Teresea and Rebecca! I hope you will love this one, Aileen; thank you!! Thank you, Anitha!! My illustrator did a great job on it. I love books like this! I think it's important to share the stories of strong women and men who have made a difference! I completely agree; thank you, Amanda!! What an amazing cover!! I love it! Congrats, Teresa! This book looks amazing... and the bags do too!! I love books about women and science! Thanks so much! Congratulations! 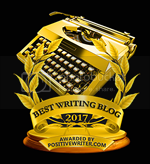 I'm delighted to see this synopsis and learn more about your book. Can't wait to read it!